ShareChat, the native language social networking platform, catapulted into the big league of local consumer internet startups last week when it raised $100 million (Rs 720 crore) from an investor consortium led by Chinese venture capital firm Shunwei Capital. The fresh funding gives ShareChat, owned by Bengaluru-based Mohalla Tech Pvt. Ltd, more than a fighting chance at building a homegrown social networking platform to rival global platforms such as Facebook and Twitter. Founded in early 2015 by Indian Institute of Technology-Kanpur graduates Farid Ahsan, Bhanu Pratap Singh and Ankush Sachdeva, ShareChat’s value proposition lies in the market that it addresses. A Google KPMG report from April last year forecasts that Indian or native language internet users will touch 536 million by 2021, growing at a compounded annual growth rate (CAGR) of 18%. By contrast, English language internet users are projected to grow at a CAGR of 3%. In 2016, native language internet users totalled 234 million while English language users stood at 175 million, according to the report. 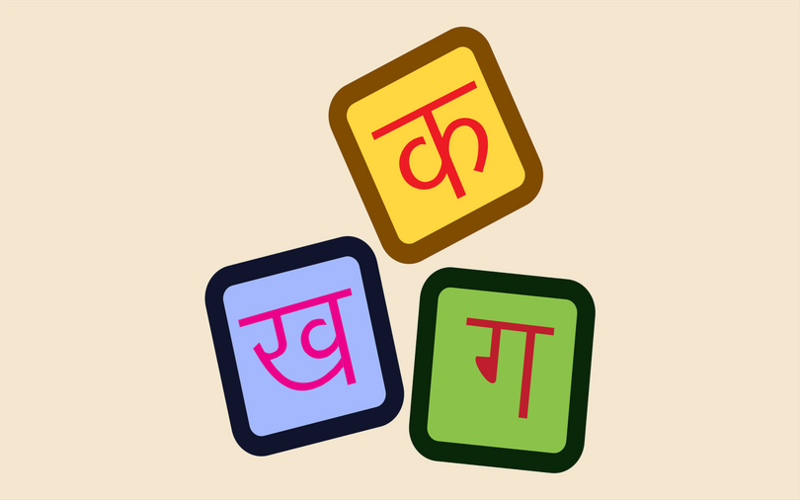 ShareChat currently offers content in about 14 Indian languages that include Hindi, Telugu, Marathi, Gujarati, Punjabi, Malayalam, Bengali, Tamil, Kannada and Odia. The social networking platform’s latest funding round takes its total capital raised to $124 million. TechCircle’s back-of-the-envelope calculations peg ShareChat’s post-money valuation following the latest round at close to $500 million, nearly a seven-fold jump from the valuation the company fetched in its previous funding round. The number of daily users on the platform, according to a report in The Economic Times, has grown from 5 million to 8 million since April-May this year. Generating revenues aren’t a priority for the company at the moment. It reported gross revenues of Rs 78.4 lakh for the financial year 2016-2017, up from Rs 5.56 lakh in the previous fiscal. The revenues were generated from Other Income, which included profit on sale from investments (Rs 41.69 lakh), interest income (Rs 2.57 lakh) and participation income (Rs 34.12 lakh). Operational revenues have remained at zero for the last two financial years. “If you want to create a market leader, customer acquisition rather than generating revenues has to be the priority,” says Karthik Reddy, managing director at Mumbai-based venture capital firm Blume Ventures, which has a significant portfolio of consumer internet investments. However, when ShareChat does turn its focus to revenues, advertising is likely to be its primary revenue stream. Satish Meena, senior forecast analyst at technology research firm Forrester Research Inc, says that for platforms such as ShareChat, advertising revenues, cross-selling of products and selling customer data comprise some of the most obvious potential revenue streams. “It is unlikely that customers on such platforms will pay to use any of the features that are offered,” says Meena. ShareChat’s gross expenditure rose four-fold to Rs 10.38 crore in 2016-17 from Rs 2.62 crore the previous year, mainly because employee-related expenses and administrative overheads nearly tripled. Consequently, net losses also rose nearly four-fold to Rs 9.59 crore in 2016-17 from Rs 2.56 crore the previous year. The company’s financials for 2017-18 are not yet available. It isn’t a surprise that ShareChat’s latest funding round includes generous contributions from its three existing Chinese investors. While Shunwei Capital pumped in $32.5 million, Hong Kong-headquartered venture and growth investor Morningside Ventures invested $25 million and Beijing-based smartphone maker Xiaomi brought in $18.2 million. ShareChat takes its cues from the Chinese market that has seen significant success with consumer internet platforms driven by native languages. For example, Fan Bing Bing, a popular Chinese actress reportedly embroiled in a tax evasion scandal, commands 62 million followers on Sina Weibo, the Chinese equivalent of Twitter. That is a little over four times the number of Twitter followers that Dwayne Johnson (12.9 million), a.k.a The Rock, one of Hollywood’s highest-paid action stars, commands. According to a BBC report from May last year, Sina Weibo, with 340 million monthly active users (MAU) surpassed Twitter, which had about 328 million at the time of that report. Latest numbers, by various media accounts, put Sina Weibo’s MAU at 431 million in comparison with Twitter’s 331 million. “In a few years, it is very likely that India will be where China is today. Hence, it makes sense for investors in this market to get in now when valuations are still reasonable,” says Unicorn’s Joshi. Forrester’s Meena thinks that Chinese investors are uniquely qualified to help scale and monetise a venture like ShareChat. “In Beijing and the top five cities in China, there is a massive user base for such platforms. Besides, like India, such platforms in China too are increasingly turning their focus to Tier-2 cities,” he says. Shunwei Capital, in fact, has extended its interest in native language-oriented businesses here beyond ShareChat by picking up stakes in app-based question-answer and opinion platform Vokal, video-sharing platform Clip App and Hindi-based medical and wellness content platform myUpchar. It must be remembered, however, that China’s consumer internet players have had the luxury of flourishing in a walled environment. Apart from Sina Weibo, there are local giants such as search platform Baidu, social messaging platform WeChat, lifestyle-focused social networking platform Douban, Instagram rival Meipai, and Zhihu, the Chinese equivalent of Quora. While the cues from the Chinese market are a important factors, closer home there are other forces at play. The recent influx of affordable smartphones is bringing native language internet users online faster. Not to mention the emergence of Reliance Jio, which has quickly risen to emerge as the nation’s third-largest mobile operator by subscribers, only behind the Idea-Vodafone combine and Airtel, according to multiple media reports which cited data from the country’s telecom regulator. Industry analysts say that the rise of Jio makes the opportunity for platforms such as ShareChat much more attractive than peers which focus on English. In July alone, Jio added more than one crore subscribers to its network, as opposed to the 11.53 lakh customers that Vodafone, Airtel, BSNL and Idea collectively added to their subscriber base. There are concerns within some quarters of the local investor community about homegrown platforms such as ShareChat because of earlier experiences with startups such as instant chat and messaging app Hike. Backed by the likes of Tencent and Tiger Global, Delhi-based Hike was once tipped to be the WeChat of India. In 2016, Hike raised $175 million (Rs 1,170 crore) from Tencent, Foxconn and other investors in a round that propelled it to the elite list of unicorns, or private companies valued at least $1 billion. However, it appears that Hike may have floundered. It struggled to devise a revenue model at least until 2016-17, when it had no revenues to show. In May this year, Hike laid off several employees and shut its Bengaluru operations in a bid to revive its fortunes. Meena, however, thinks that equating ShareChat with Hike is an apples-to-oranges comparison. “ShareChat seems to have picked up a sticky user base. I am not sure whether I could say the same about Hike,” Meena added. Anand Lunia, founder and partner at Mumbai-based venture capital firm India Quotient, says investors shouldn’t worry about the size of the opportunity. “The scope is immense. The whole world of venture capital has no option but to invest in such companies. There’s room for multiple players in any (native language) space,” he says. Lunia’s firm was the first institutional investor in ShareChat along with early-to-growth-stage investment firms SAIF Partners. This scenario is already playing out with the likes of Bengaluru-based news aggregator Dailyhunt earlier this month raising the first tranche of a Series E funding round from New York-based hedge fund Falcon Edge. Dailyhunt, which was formerly known as Newshunt, offers news articles licensed from thousands of content partners and contributors in 14 languages. It also provides original video content in Hindi and Telugu and a free live television streaming service with more than 130 channels across nine languages through strategic partnerships with firms in the over-the-top (OTT) video content space. NewsDog, which in addition to social networking collates short-form news stories in English and vernacular languages including Hindi, Tamil, Telugu, and Marathi, raised $50 million (Rs 340 crore) in a Series C round led by Tencent in May. The platform, which was founded by Chinese entrepreneurs, claimed to have 50 million users across 10 languages.